SINGAPORE COMICS & COLLECTIBLES: THE FLASH VOL. 2 #233 (2007) "The Wild Wests Pt. 3"
THE FLASH VOL. 2 #233 (2007) "The Wild Wests Pt. 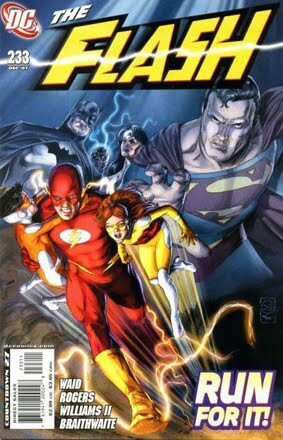 3"
• THE FLASH #233 "Fleeting Lives"
• PLOT SUMMARY: The Justice League steps up to take away the Flash's loved ones in the name of the law!